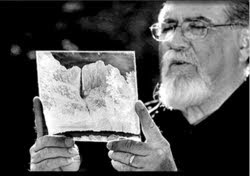 Fresno, CA, July 28, 2010 /PN/ Old glass negatives bought by a painter for $US45 at a garage sale a decade ago have been authenticated as the work of the photographer Ansel Adams and are worth at least $US200 million ($223 million), the owner's lawyer says. The box bought a decade ago contained 65 glass negatives that were supposedly created by photographer Ansel Adams in the early years of his career. The negatives were thought to have been destroyed in a 1937 darkroom fire along with as many as 5,000 other plates. However, the folks at Adams' publishing rights trust aren't buying it. "Do you have any idea how many people were photographing Yosemite in the 1920s and 1930s? Millions! It could be anyone," the managing trustee told the WSJ. Norsigian's lawyer said handwriting experts had identified writing on the negative sleeves as that of Adams's wife, Virginia. But Ansel Adam's grandson, Matthew Adams, said there were inconsistencies in the handwriting and a lot of misspelled Yosemite place names. ''She grew up in Yosemite. She was an intelligent, well-read woman. I find it hard to believe she would misspell those names,'' he said. ''It's an unfortunate fraud,'' said Bill Turnage, managing director of the Ansel Adams Publishing Rights Trust. He said he was consulting lawyers about suing Mr Norsigian for using a copyrighted name for commercial purposes. In addition to the handwriting issue, Matthew Adams said in a statement he didn’t understand how the negatives could have possibly fallen out of the hands of his grandfather, who he said was very careful with the storage of his work. Furthermore, he said the negatives did not carry the photographer’s typical numbering system. The $200 million that Mr Norsigian could make from authenticated photographs includes sales and licensing deals. He has stored the negatives in a vault, and the photographs will go on display at Fresno State University in October. Photo: Rick Norsigian examines one of the glass negatives authenticated as Ansel Adams' creation. I just looked on Norsigian's website and it seems he is already selling prints of those glass negatives. $1,500 each. It all looks like a hoax to me. Wow, may really be a hoax after all. Wish I Found Those Negatives @ Garage Sale! Wouldn't The Seller Not Know The Origin? Can't Wait To View The Prints! What do I think when I read this? Money money makes the world go around and people a bit crazy.